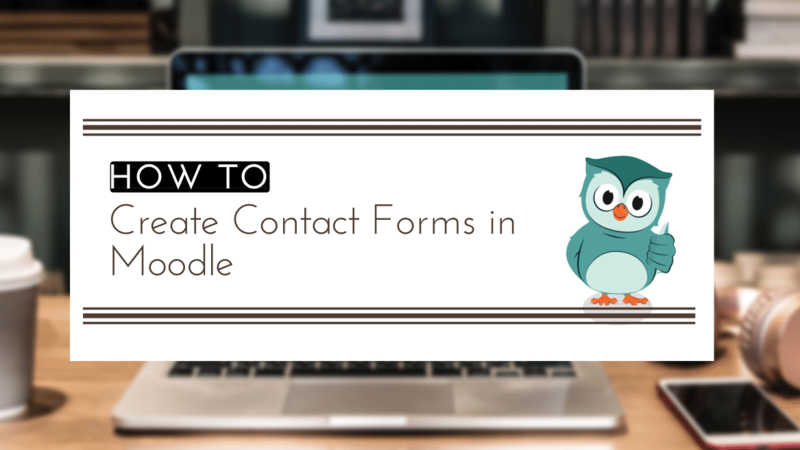 Forms > How to Create Contact Forms in Moodle? Building a dependable communication bridge between students & teachers is something that can’t be neglected in the modern day world. The same holds true even for your site visitors. It is absolutely essential for you to understand their needs, so as to gradually convert them into leads. Contact Forms prove to be an excellent way to make this happen, even on your Moodle site. They help your site visitors get in touch with you for resolving their queries and even pre-sales concerns. This inevitably leads to higher course enrolment rates. 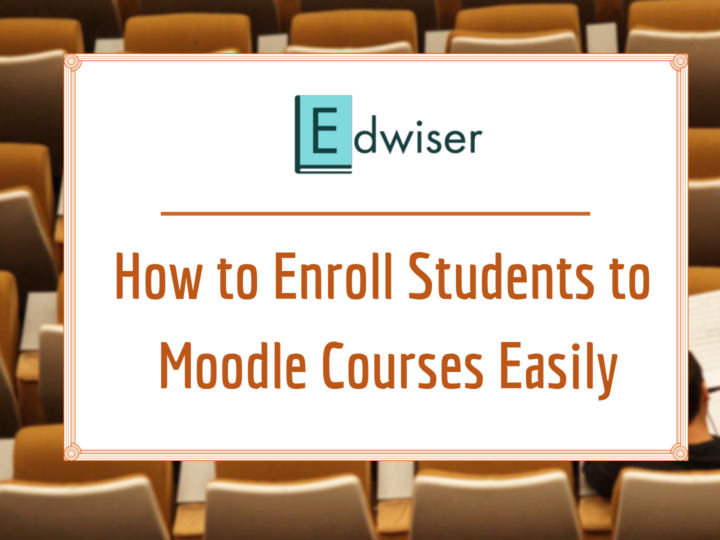 Now comes the important question, how do you create a contact form in Moodle? With Edwiser Forms, the drill is a lot easier. P.S. 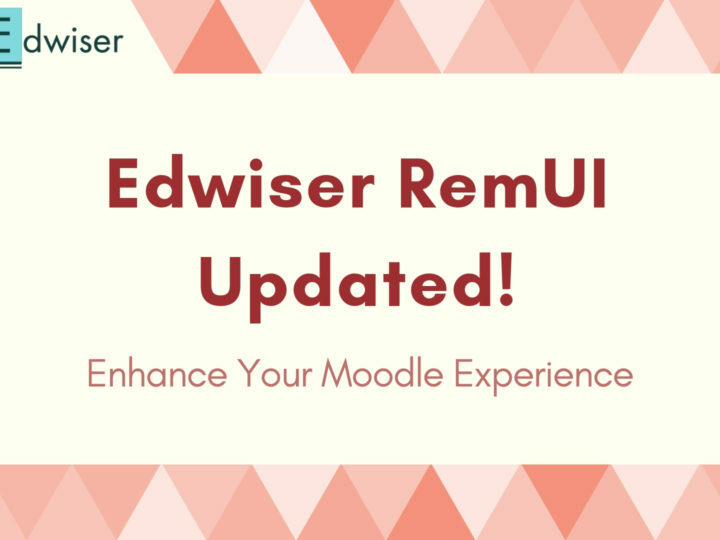 If you’ve not yet downloaded your copy of Edwiser Forms, get it here for free! Follow the installation steps given in the documentation and then follow the steps below. 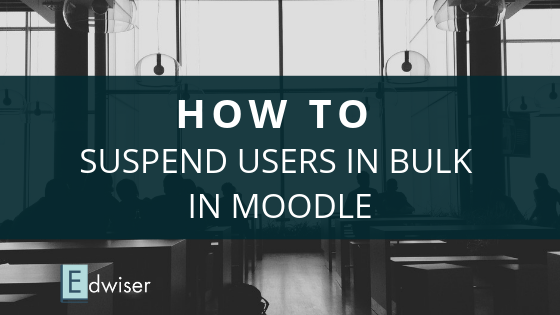 Log in to your Moodle Dashboard and click on Site Administration (Left Sidebar). In the “Site Administration” window, click on “Plugins” Tab and Scroll down to “Edwiser Forms Free” section. Click on “Add New Form”, and name your form in the “Form Title” textbox. From the Templates, select “Simple Contact Form”. 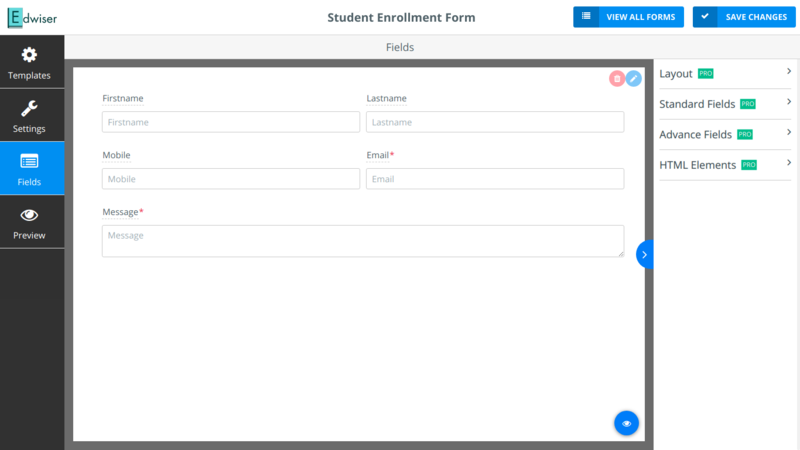 Title (Textbox) – give your form a mandatory title (for eg: Student Enrollment Form). The title helps identify the form for form creators as well as students. Description (Textbox) – this is an optional field, it helps you identify the form purpose for admins/teachers. 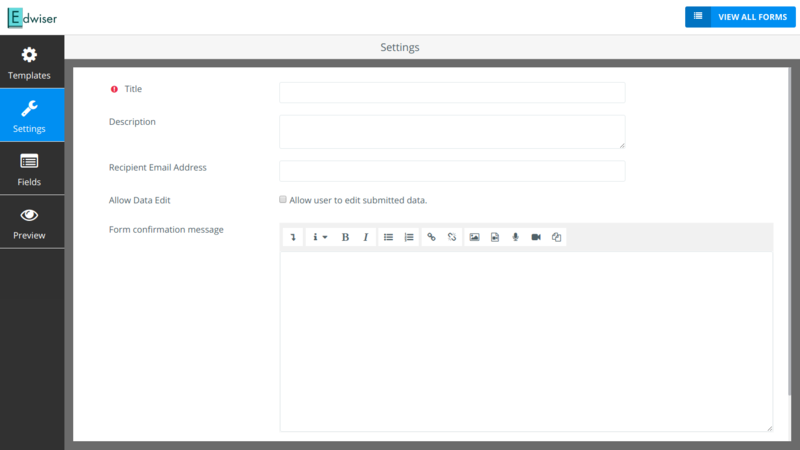 Recipient Email Address (Textbox) – By default, the notification goes to the admin, but you can also assign the notifications to another email address. For eg: Subject Expert, Vice Principal and so on. Allow Data Edit (Checkbox) – give your users an option to edit the submitted data. 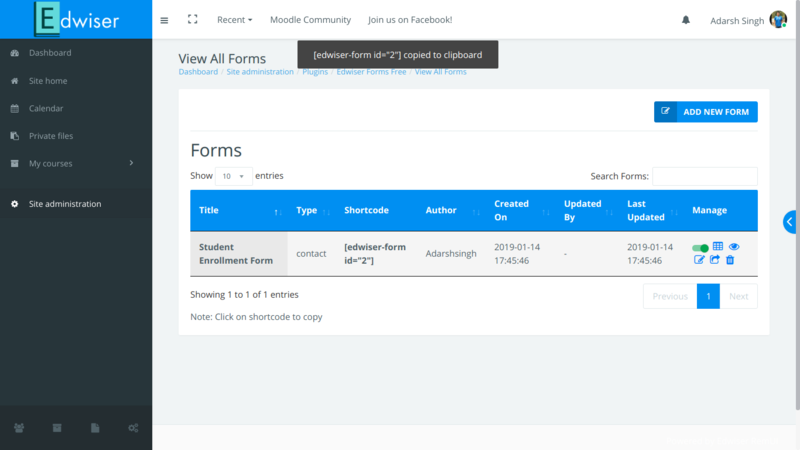 Form Confirmation Message (Textbox) – enter the message you want to send upon successful form-filling, as a confirmation message to the student. Once the above is done, click on “Build Form”. The window that you see now is the “Fields” window. By default, a Contact Form template comes with the following pre-defined fields. You can change the titles of these fields according to your convenience. Message – the student can type his query here. ReCaptcha – Spam Protection (Steps for setting ReCaptcha code are given in the article toward the end). Click on “Preview” from the left pane, to see how the form would look to a user. To save your form, click on “Save Changes” in the header bar. Now click on “View All Forms”. The corresponding window displays all the forms you have built till date. You can edit the form, enable/disable the form, preview the form as well as view form data. The Final step in Creating Contact Forms in Moodle: Embedding. Embedding the form is as easy as it gets. All you have to do is click on the shortcode of the concerned form to copy it, and then paste the shortcode in the backend of the page where you want the form to be. P.S. If you want to display the form in the Dashboard section, add an HTML block to your dashboard, and add the shortcode in it. Edwiser Forms comes with inbuilt Spam Protection. This ensures all your form entries are authentic and free of garbage data. Enter Site URL, Label and Select ReCaptcha type from the given list. Click Register. Go to Site Administration -> Plugins. 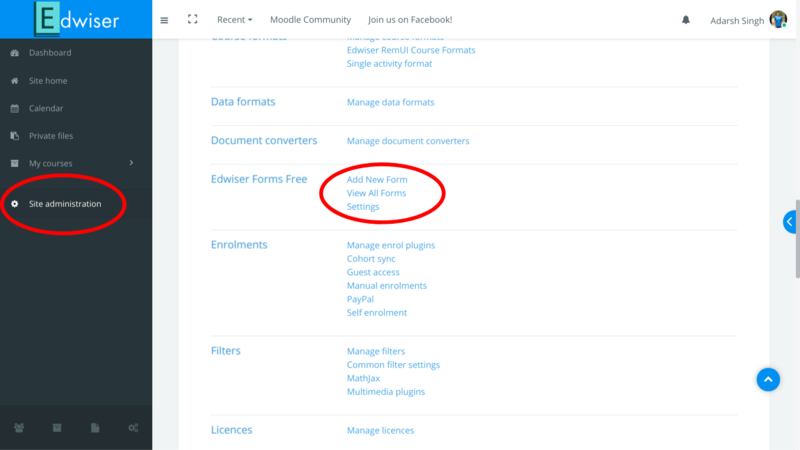 Click on Settings next to “Edwiser Forms” listed in the Plugins tab. Paste the Copied Key in the “Google reCaptcha site key” field. 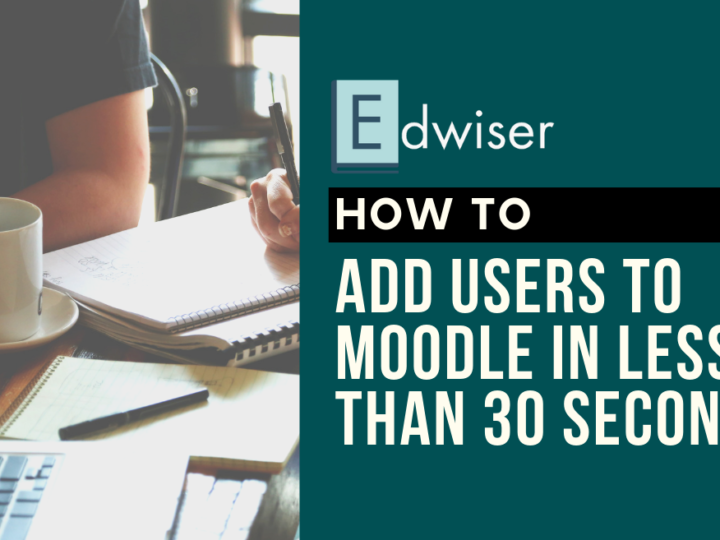 Haven’t tried out Edwiser Forms yet? Get your Free Copy NOW!